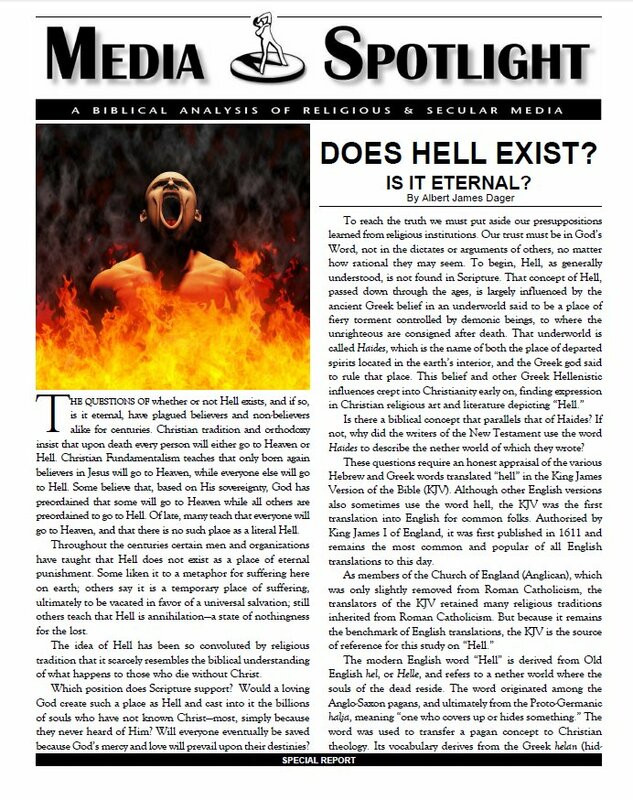 DOES HELL EXIST - Is It Eternal? These questions have plagued both believers and non-believers alike for centuries. Christian tradition and orthodoxy insist that there is a literal place where the departed souls and spirits of the unredeemed will suffer eternal, fiery torment. Yet many men and organizations have taught that hell does not exist as a place of eternal punishment. This study examines the subject from a purely biblical perspective. It delineates between the various Hebrew and Greek words that have been translated "hell" in English translations of the Bible, and demonstrates that the truth is often made subservient to the traditions of men. 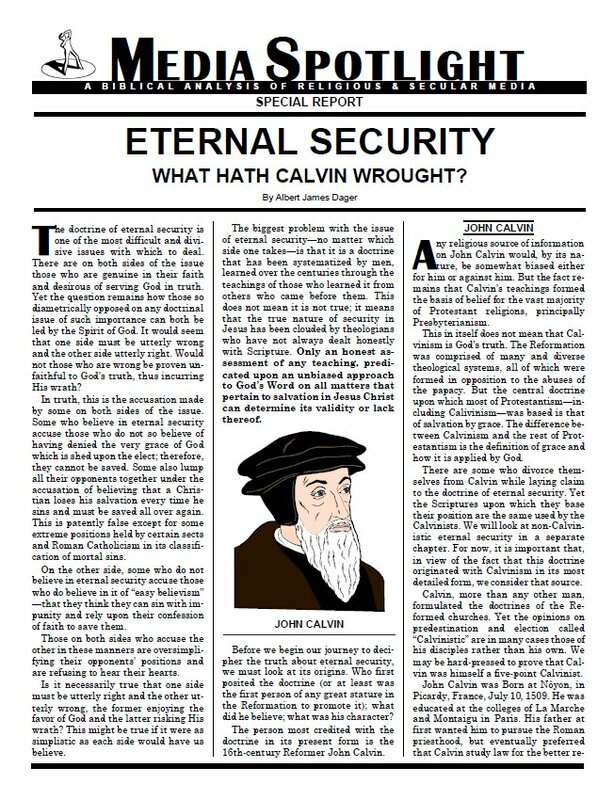 ETERNAL SECURITY - What Hath Calvin Wrought? The doctrine of eternal security is one of the most difficult and di visive issues with which to deal. There are on both sides of the issue those who are genuine in their faith and desirous of serving God in truth. Yet the question remains how those so di ametrically opposed on any doctrinal issue of such importance can both be led by the Spirit of God. It would seem that one side must be utterly wrong and the other side utterly right. Would not those who are wrong be proven unfaithful to God's truth, thus incurring His wrath? 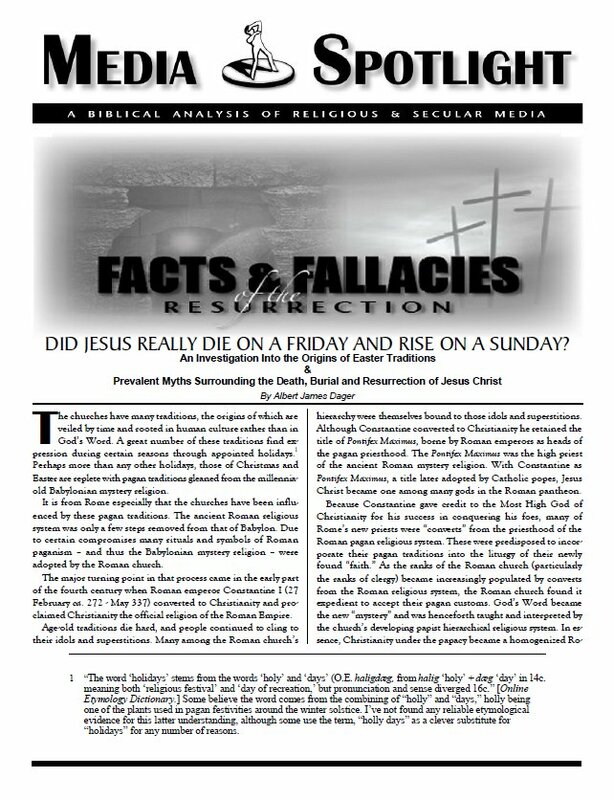 FACTS & FALLACIES OF THE RESURRECTION - Did Jesus really die on Friday and Rise on Sunday? Did Jesus really die on Friday and rise on Sunday? How can we answer the skeptics that rightly question the contradiction with Scripture that this tradition presents? This in-depth study of the Resurrection proves that Jesus was in the tomb for three full days and three full nights just as He prophesied, and that He did not rise on a Sunday morning. Challenging Easter traditions that originated with pagan beliefs and practices, this study also chronicles the origins of the Easter bunny, colored eggs, and other unlikely elements associated with the Lord's resurrection.